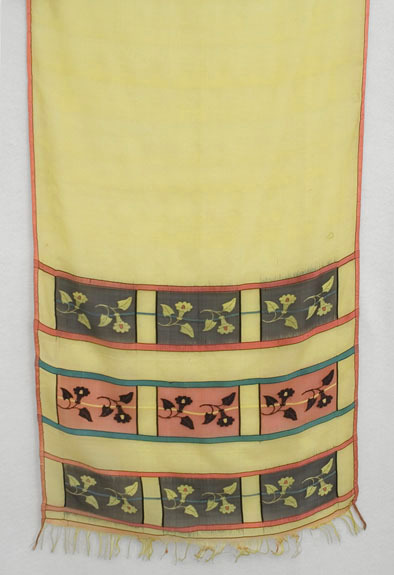 Long rectangular shawls were the key fashion accessory at the beginning of 19th century. Flaubert's Madame Bovary, set in early 19th century France, often mentions the shawls worn by the style conscious Emma Bovary. The fresh lemon hue in our resplendent shawl is like the afterglow of the sun, still illumining the horizon with its beauty two centuries later. 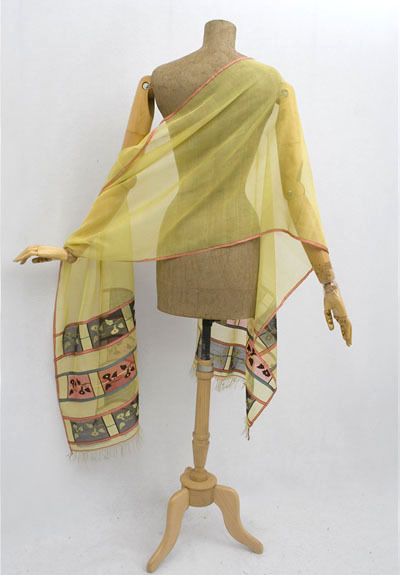 The summer weight shawl is sheer and delicate. 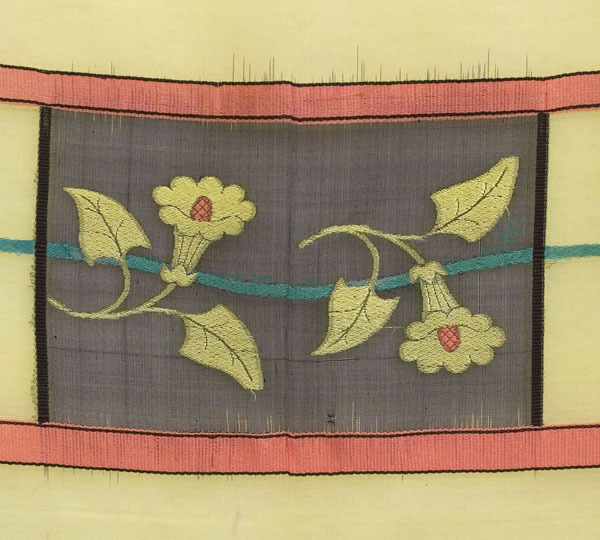 The two black panels are bordered with pink ribbon weave; the pink panel is bordered with turquoise ribbon weave. 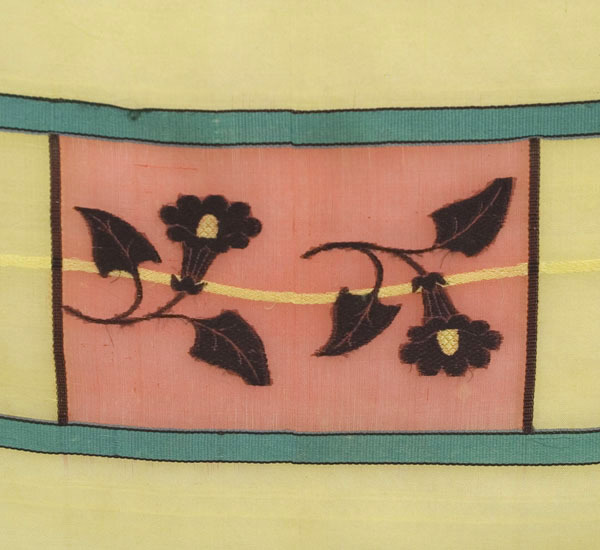 The ends are decorated with woven black- and-pink stylized floral borders. 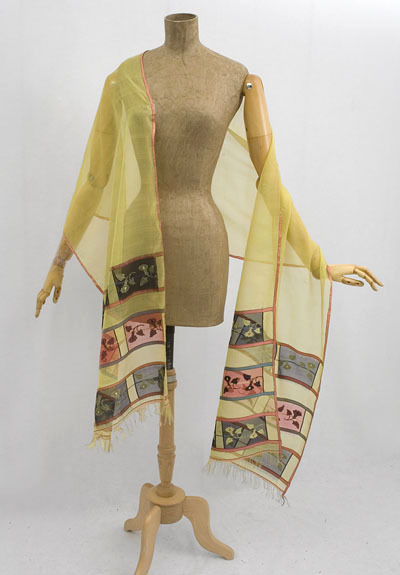 The sides of the shawl are bordered with pink ribbon weave. The ends are finished with fringe. 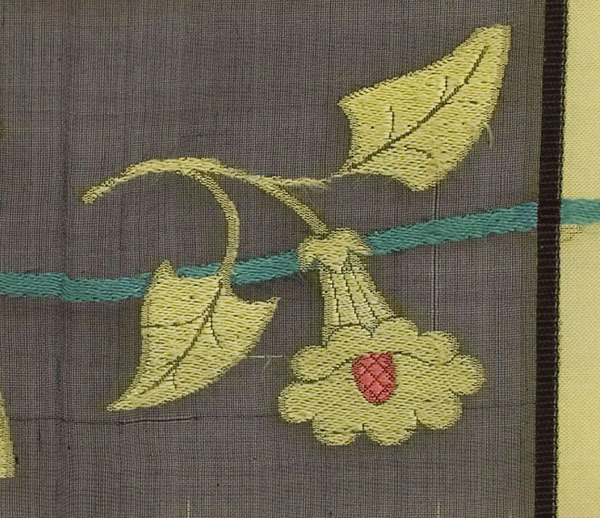 The stylized flowers are strikingly modern, prefiguring the designs of Christian Bérard in the 1930s. Like our exquisite flowers (3rd picture down), Bérard's drawings in Harper's Bazaar suggested so much by means of elimination, thus focusing only on essentials. 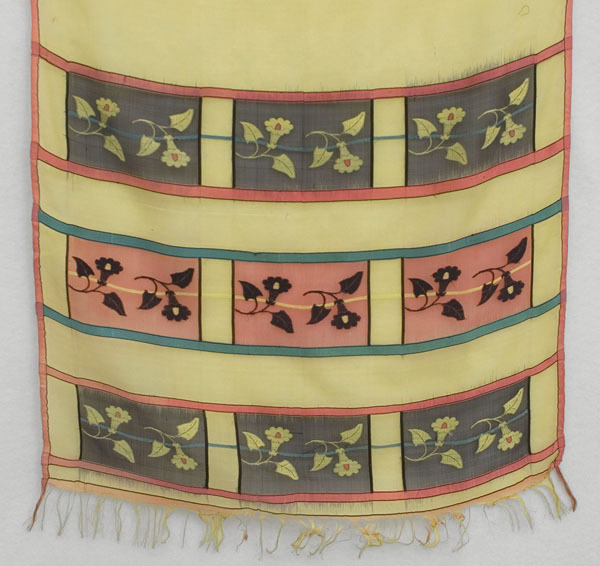 The floral motif in our shawl, as in Bérard's work, is remarkably free in line, effortlessly limning the gay and sprightly feeling of a spring day. The design brings to mind Japanese brush painting: strikingly beautiful, simple and pure, yet strong and resonant. It measures 90" long by 20 1/2" wide.